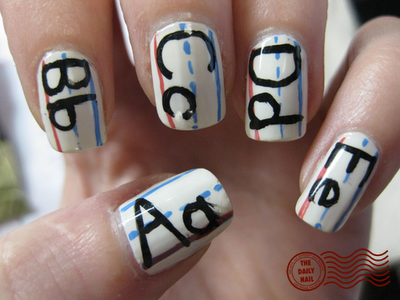 Celebrate back to school by decking out your nails with one of these inspired designs that deserve an A+. Seriously how FUN are these?? I gotta say I'm pretty stoked for the new school year so perhaps an alphabet mani would be an appropriate way to showcase my enthusiasm. 1. It Was Elementary Mani, The Daily Nail. 2. The No. 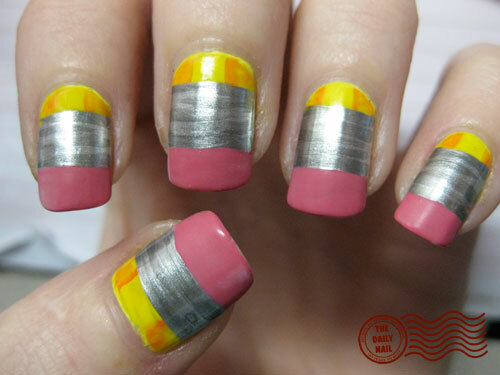 2 Mani, The Daily Nail.